Please Note: SunBody checks the size of every hat in their shop in Houston. When SunBody finds a hat to be a different size from that shown on the label, SunBody puts a gummed paper sticker over the old size with the correct sizing shown. Thus, if you receive one of these hats with the paper sticker showing a different size, you will know why. Shade yourself in the hot summer heat with the Sam Houston Planter Hat. 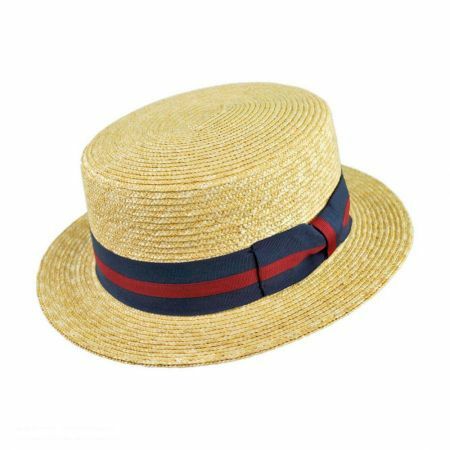 This SunBody hat is made with a classic telescope crown block along with a wide brim, perfect for those hot summer days! Named after the father of Texas, this Planter Hat is perfect for the re-enactors of the Old South and 1830's Texas. 5 3/4" Crown Creased Down to 4 1/4"
Just what I wanted. Needed a wide brim due to skin cancer problems. Healing skin graft on my ear at present. This provides the coverage I need. Wanted order a size 8 but took a chance on the 7 7/8. Plenty big. Terrific hat! Really adds to my impression. The hat is very well made. Looks and feels like a quality piece. Excellent for my "Civil War - Virginia Farmer" presentations at the elementary school. Nothing says 'farmer' like a big straw hat! It was just a smidge small but 24 hours with my hat stretcher fixed that. 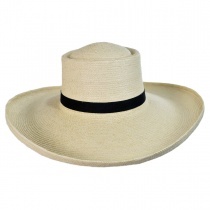 Amazing product, well constructed with the wide brim I was looking for. The packaging was perfect and the product arrived without any damage. I've never had any complaints with any of my orders and would & have recommended your products to many of friends. 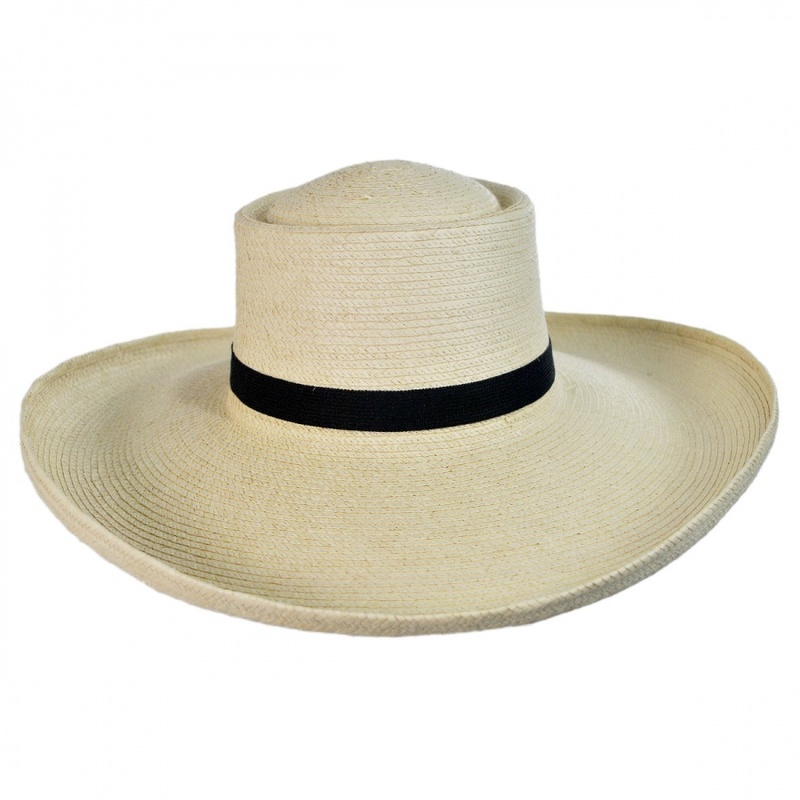 The large brimmed Sam Houston Plantation Hat is the perfect protection from the sun. Wonderful hat and purchase experience. Well made and perfect fit. Used the hat to create a custom visor for my riding helmet. It's called a 'Hell-Hat'. Wish I could include a photo. Excellent sun coverage, and speaking from South Florida... I need it. A nice 360 degree wide brim, and it is rigid but not so stiff as to be uncomfortable. The hat arrived in a sturdy, cardboard hat box to protect it in shipping. 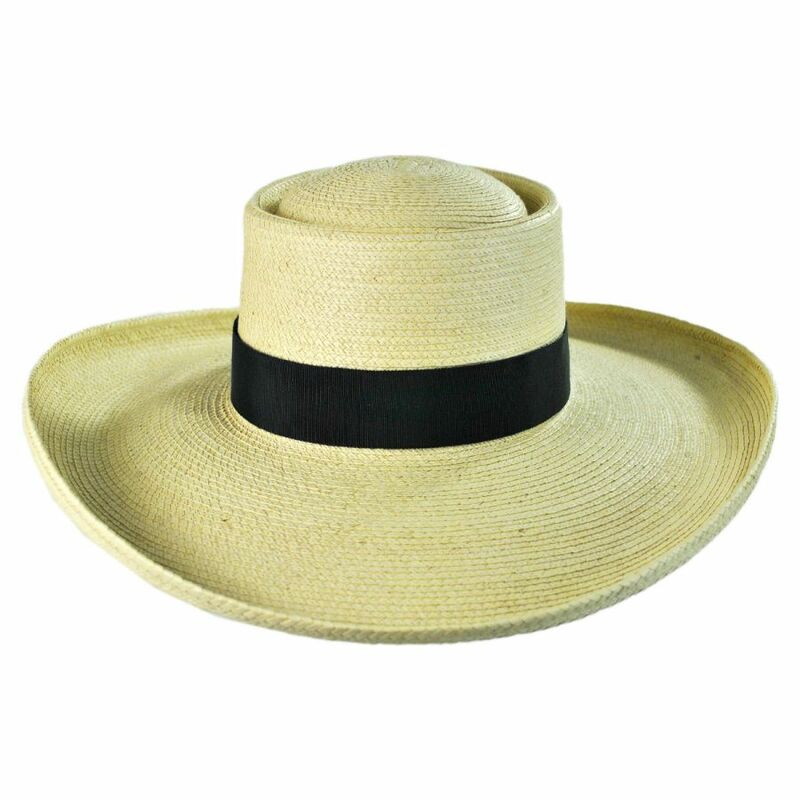 The straw hat is very high quality and an excellent value. It fits really well and the extra wide brim protects me from the Houston sun. The hat is cooler and lighter than felt or wool hats. If you buy this hat you won't be disappointed. Fits perfectly, feels great and looks good. Just what I need for the Houston sun! Arrived in a fitted box to prevent damage in shipping. Very well made - high quality. Because of the great service and quality of product I bought another hat - a felt gambler this time. This hat was everything and more than I expected. The fit was perfect and the quality was exceptional! I bought two hats and they both were just what I wanted. As a reenactor and an actor I will be using these hats! 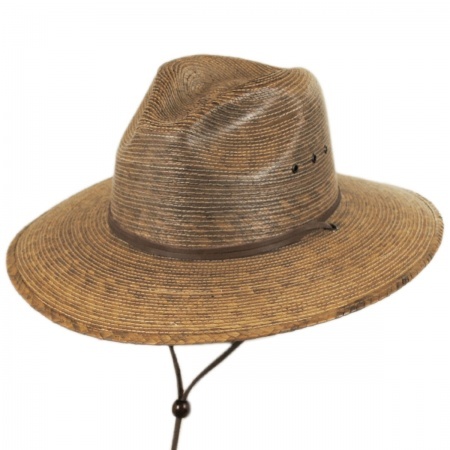 This hat is well made and does an excellent job at keeping the sun at bay. The only fly in the ointment is that, when I wear this hat, I find myself constantly thinking about the Alamo. Great coverage, the brim is nice and large to cover my ears, nose, and neck. Plus it looks great on me. The hat is as described and the fit is perfect. I have not worn the hat because it is fall heading toward winter in New Hampshire. I will know about public reaction and wear in the spring and summer. I purchased a Sam Houston style hat for mowing and car shows. I like it and plan to purchase another . Great hat, well-made, wide brim(! ), good value, good-looking. Received quickly in undamaged condition. Comes with sweat band and hat band. Plan for use gardening and outdoor activities where sun protection is vital. Overall--very pleased. PLEASE PLEASE add a leather chin cord to the Sam Houston Hat -- I would buy a bunch!! Looking for a hat for a historical re-creation. Perfect hat, perfect size and function. Not to mention keeping me from being sunburned on a long outdoor video shoot. Stylish and practical hat for keeping the sun's rays away. Excellent customer service. The size was too large for me, so I returned it by mail for a smaller size and promptly received the replacement. Would definitely recommend them for future hat purchases. 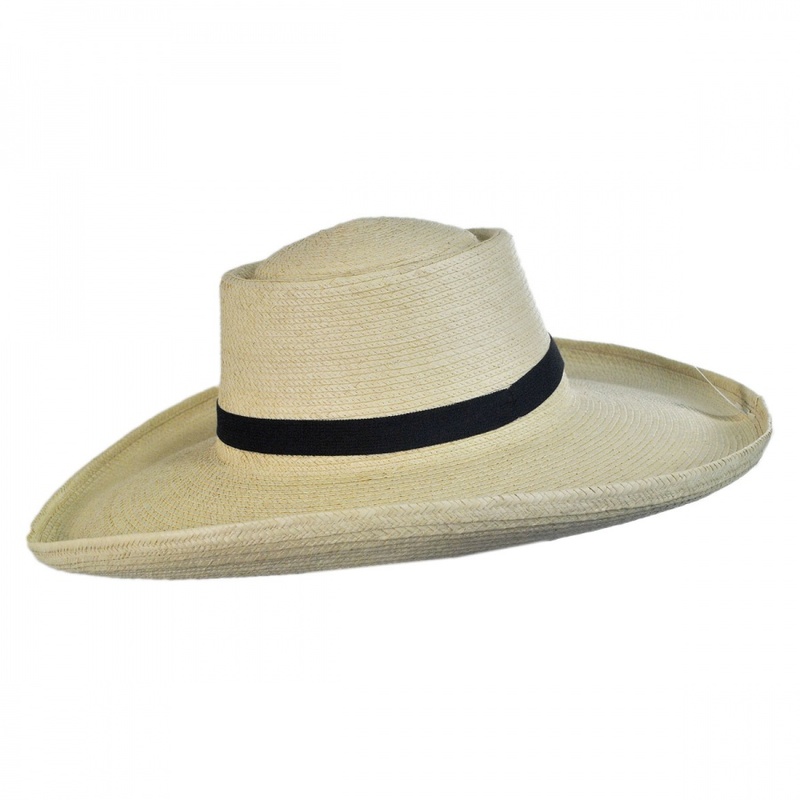 A quality product with wide brim and great looks. Extremely helpful staff @ Village Hat Shop ! I love this hat. I now obey my doctors orders to stay out of the sun and have a hat that gets lots of great reviews from my friends and acquaintances. This hat is perfect! It fits very well and it a very good protection during sunny days (and in South France, days are often sunny and hot). It was my first purchase on your website, but certainly not the last. 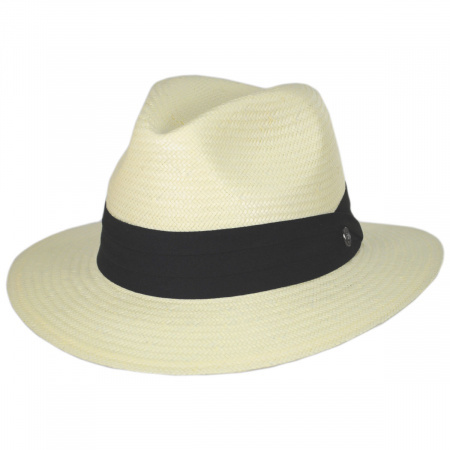 I am very impressed with the quality of this hat - very thick, clean straw woven into a sturdy yet pliable form. My husband is a natural redhead, so when he goes outside, he needs a good hat that can shade his face from the sun. This Sam Houston Planter Hat is perfect. He is wearing it whenever we're outside in the garden or at historical reenactments. Wonderful Quality product, excellent customer service. Thank you! This is my first purchase from your shop.The hat is super quality.exactly what I wanted.The first order was too large so return was smooth and second hat came a few weeks later. I am very pleased wears well cool and comfortable. An excellent sun hat. I think you will be very pleased with your purchase. I purchased the Sam Houston Planter Guatemalan Palm Leaf Straw Hat for protection from the sun. This is a great hat. Has a wide brim just as I wanted. Excellent workmanship and quality materials. Purchase and shipping went very well. I highly recommend Village Hat Shop. Better than expectations....I wear a size 8, difficult to find any hat that fits well, let alone a hat of this quality. The size was right on....the construction/finish were very good for a hat that would cost twice what I paid for this hat.....it arrived within a couple of days.....and it arrived with specially designed support within the box that ensured it retained it's intended shape. I will extoll the virtues of the village hat shop with all who compliment me on my hat, and I expect that will be many. The bottom line....the most satisfactory purchase I've made in a long time. 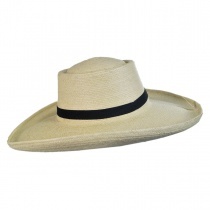 I have been looking for a straw hat that looks like the one in the good the bad and the ugly . Threw it in the bathtub shaped it made a leather hat band and it looks and feels great keeping the sun off in the intense heat of the desert. Bought this for my husband for his "non" Anniversary gift, even though we agree to no gifts, haha. He saw the box and said, "oh, it is ok to give hats, they don't count for not giving gifts" HAHA. He loves it and now my Dad wants one too! Ordering another of this hat for my husband, he love it and literally wore his out after 4 years! He gets compliments on this hat everyplace we go! Beautiful hat--everything I hoped for. 1st hat had a minor flaw; Village Hat Shop sent a replacement and paid for return shipping of the flawed hat with no question. Remarkable customer service! My picky husband loved this! There are so many times I purchase a gift for my husband and it ends up being exchanged - not this one! He LOVES this hat! 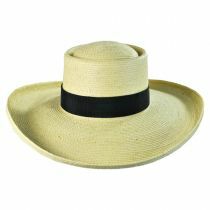 It's great for FL with a very wide brim for sun protection. Fit was exactly to size and the quality is great. He gets compliments all the time on it. Great hat & great service! Hubby LOVED this hat! (He'd asked for a planter's hat "like Sam Houston wore in the Alamo movie.") Be sure to measure! Because of the amazing array of sizes offered, I ordered too large because Hubby ALWAYS needs the largest size. (That would be the largest size offered by stores whose size range isn't as extensive as the Village Hat Shop!) Returning the hat to exchange for a smaller size was easy, and the email communication tracking the return was first-rate. I will order again from the Village Hat Shop! I ordered the Sam Houston Planter because I wanted something a little different for my summer time gardening and yard work. Based on the on-line description, it seemed to be just the thing. The hat arrived promptly, though the box was a little dented (thanks FedEx). The hat was undamaged, and my first impression of it was good. The construction seems good, and the brim and crown are fairly symmetric. 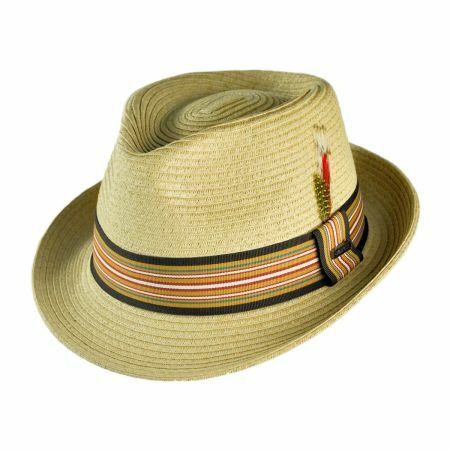 Some poorly made sewn straw hats can tend towards lopsidedness in those areas. The palm leaf braid has a rougher texture than I had hoped for, but is not too harsh. I'm sure a little handling will smooth it out. The hat band is a bit disappointing. Although the description did not mention the material the band is made of, the close-up photos appeared to be a standard grosgrain sort of ribbon. In fact, the hat band that came on my hat is a very thin (almost see-through) elastic of some sort, and only about 1 inch in height. 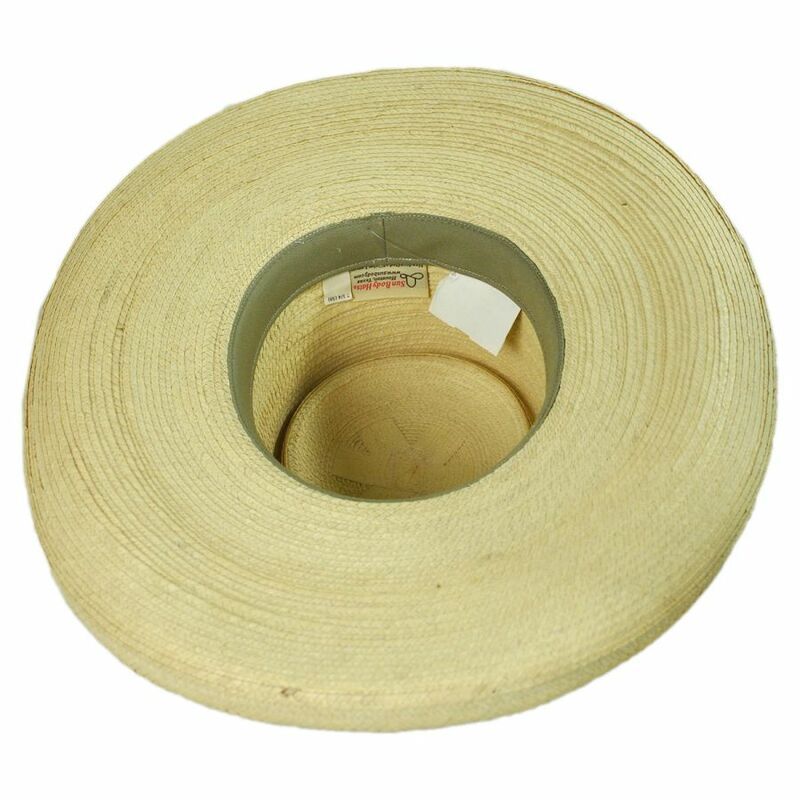 The photo shows a band that appears closer to 1.5 to 2 inches in height. A minor issue to be sure, but something of which to be aware. The size is the only other issue I have with this hat. I have worn size 7 3/8 my entire adult life so that is the size I ordered. The hat I received was marked 7 3/8, but it fits more like a 7 5/8. It's not so loose that I can't wear it, but it doesn't fit snugly enough that I feel it will stay on through an unexpected rush of wind. All in all, I feel this hat is a good value for the money. I'm happy with it, and would recommend it to others, with the caveats about the band and sizing. Sam Houston exceptional quality. Priced too low, excellent deal. I bought the Planter Hat in a 7 3/8. 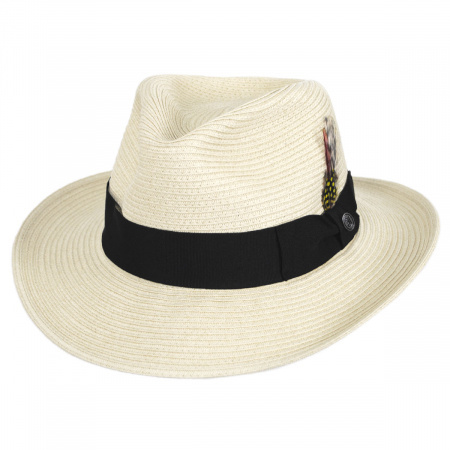 Wonderful, sturdy hat with great proportions and excellent quality. It felt slightly large so I ordered another in 7 1/4. It's a perfect fit. I love both hats - for some reason they both seem to have different personalities so I kept them both. This is a large hat but the balance is perfect and really easy to wear. Couldn't find a better hat of this type!